Directions: From I-10 Exit 704 (FM 949) Go (north) on FM 949 about 11.7 miles to 1094. Cross 1094 and go . 2 miles. Turn Left on Mill Creek Road. (after bridge the road Y’s, stay to right) 7IL entrance is on the Left 2.5 miles. Look for the Texas Flag Mailbox. Mileage: 40 miles of trail of well permanently marked trails. 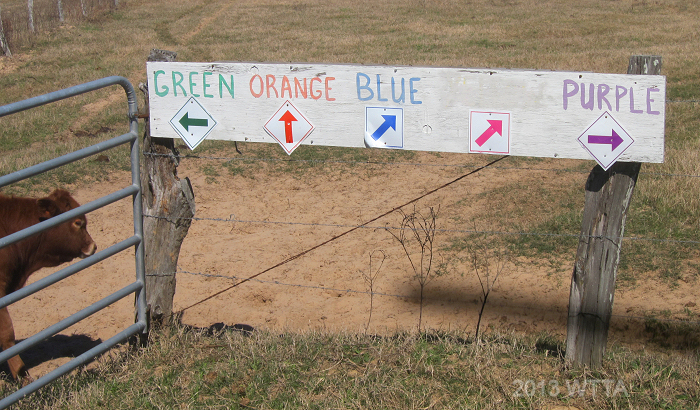 The trails markings are color coded and easy to follow. There are a total of six trails; Red, Green, Blue, Orange, Pink and Purple. Trailhead junction (northeast of the camp), the red trail is at the opposite end of the camping area. Check in and payment station located in the red barn. 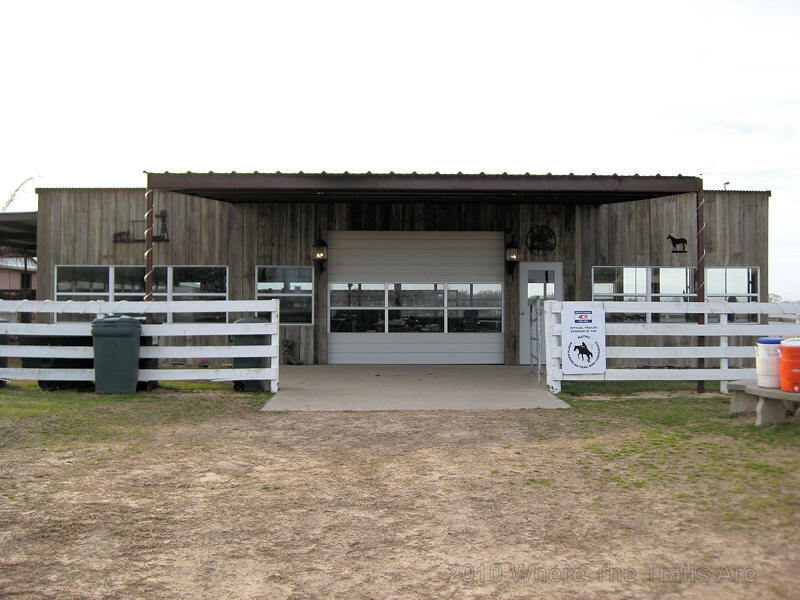 Facilities: Electric hookups on 30AMP service, water, uncovered pens, two covered pens, arena, round pen, covered meeting area, and a new bathroom building with segregated ladies and gents sections which has large stalls and showers. Cost: Check in at the red barn. 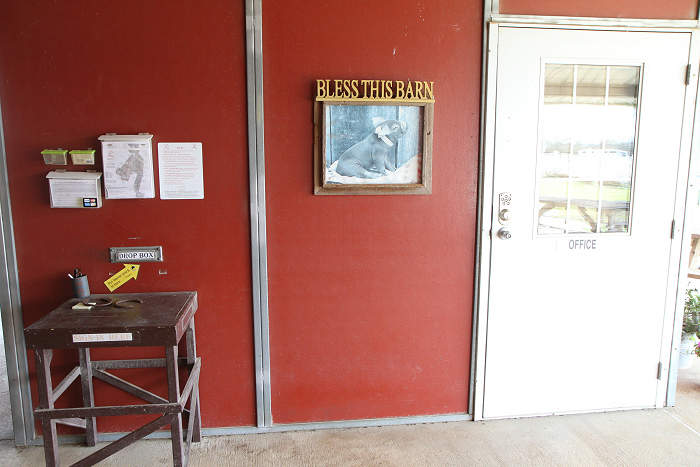 Once you enter the barn the payment drop box, maps, and liability release forms are on the right. Bathroom/shower facility and gift shop. The shop is not always open. 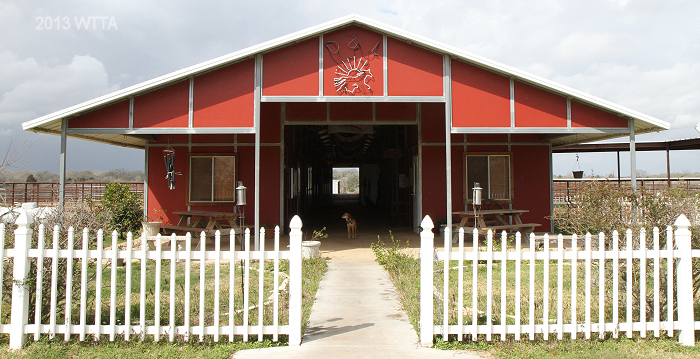 The 7IL barn is for boarders, however, the front porch of the barn is a nice shaded place to hang out or eat lunch. Dogs: Dogs are allowed but must be kept on leash. Terrain: The terrain is all sandy with some pretty deep sand in spots. There are no steep grades as it is mostly flat with gently rolling hills, ponds, and several creek crossings. Many of the trails are in the open, but some also zig-zag through forest, gullies, and creeks. Photo by Jim Edmondson with Optical Harmonics, 3/2011. Trail Map: Trail maps are available at 7IL and can also be located at their website listed above. Description: 7IL Ranch in Cat Spring is a family run cattle, hay, boarding, and yes trail riding operation. 7IL has everything, except lots of rocks — so no horseshoes or boots are needed here! 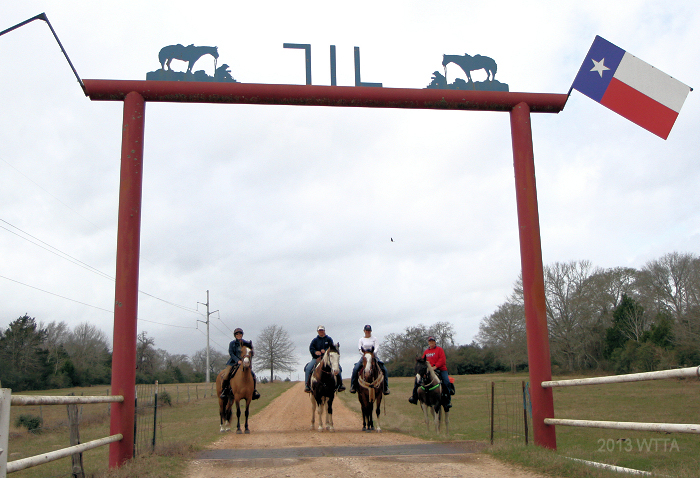 The ranch is family owned by Faye Huber Reznicek and her son David Reznicek and it has been in their family since 1863. They kindly opened up 7IL to trail riders in 1999. 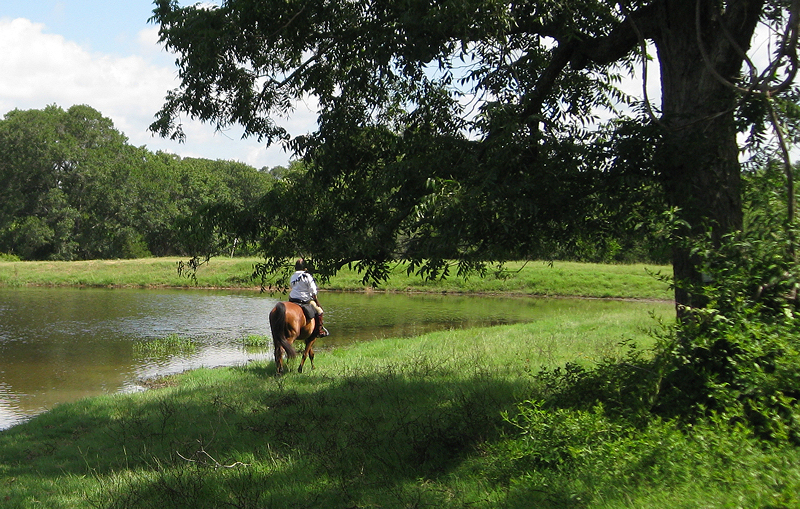 This is a popular venue for pleasure trail riders, endurance riders, and organized trail rides and competitions. 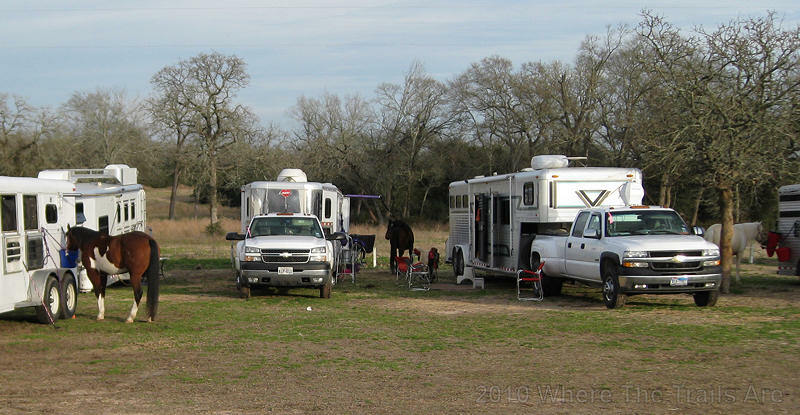 The reasons for its popularity is obvious as the ranch offers not only forty miles of well-marked color coded trails but also has numerous RV hookups, several pens, a small round pen, a nicely kept arena, a large enclosed meeting room with area heaters, and a spacious restroom facility with showers. I have visited 7IL Trails four times now, three times on competitive trails rides and most recently I visited this year over Valentine’s Day weekend with my husband, Chris, two American Indian Horses, Angel and Midnight, and our sweet puppy, LB. I expect to return soon because it is well worth the trip. Each time I have visited I have noticed additional improvements and new facilities. Most recently I noticed additional pens have been added. The owners seem to keep up the ranch well and constantly work on improvements. I really enjoyed this most recent trip as the ranch was quite peaceful with no organized event underway and only two other small groups camping with their horses. The first day we arrived we practically had the place to ourselves and we were the only campers, which was strange because the last few times I visited there must have been at least 50 or more trailers. The horses settled into their pens just fine. The pens are not located by the trailer hookups and depending on where you camp it could be a short walk away or a good stretch of distance. Water facets with long hoses and hitching posts are conveniently located by the pens. Rakes and manure containers are also located by the pens. You of course are expected to clean out your own pen, but the set up makes it an easy job. The camping area provides ample space for large rigs. The RV hookup area which is along the fence line and numbered as very few trees for shade. There are no trees in the primitive camping area. There is also a third camping area, which also lacks trees, located where the red trail begins which is set aside for those who want to run generators. There is a communal water trough with resident gold fish across the gravel road from the red barn. My horses always loves to drink out of this trough and Midnight would have climbed into to it if I had let her. I have always wondered if the horses loved it so due to the fish or some other unknown reason. 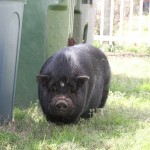 Several dogs and a pot belly pig also live at the ranch. Midnight is a very green filly I brought along on this trip for training purposes. 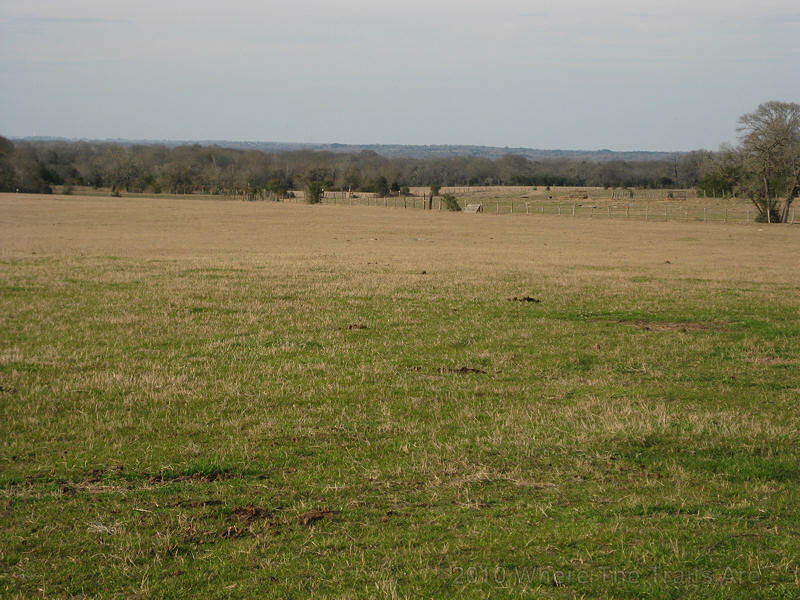 This is a great place to bring green horses due to having pens, a round pen, and a nice arena.. 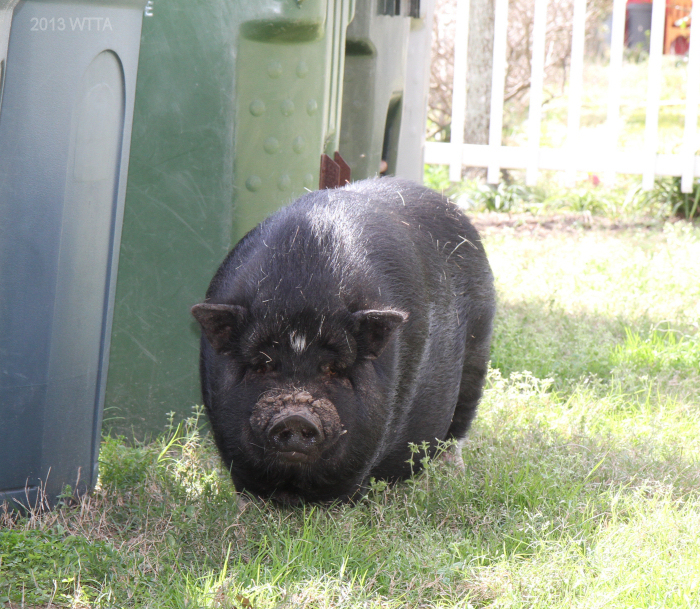 Midnight is not accustomed yet to being tied to a trailer or high tie all night so she was able to stay in a pen. I was able to make use of the arena for her third ride. She did great but mostly enjoyed being turned loose in the arena to roll in the sand and play. We enjoyed two full days of trail riding along the sandy trails of 7IL. The trails are so well marked that it would be difficult to get lost. 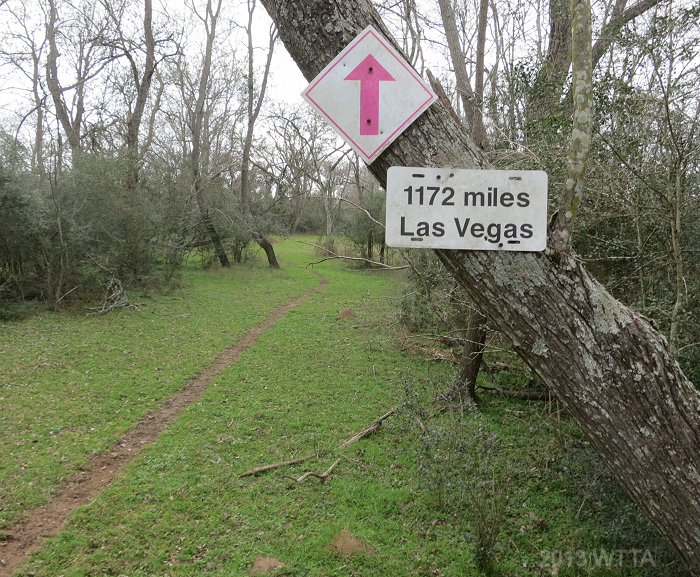 In addition to the trail markers there are several humorous mileage marker signs such as “1,172 miles to Las Vegas.” I have often wondered if these mileage signs to popular cities are indeed accurate, so I’ll have to do some research on that. Be prepared to go through several gates along the trail. 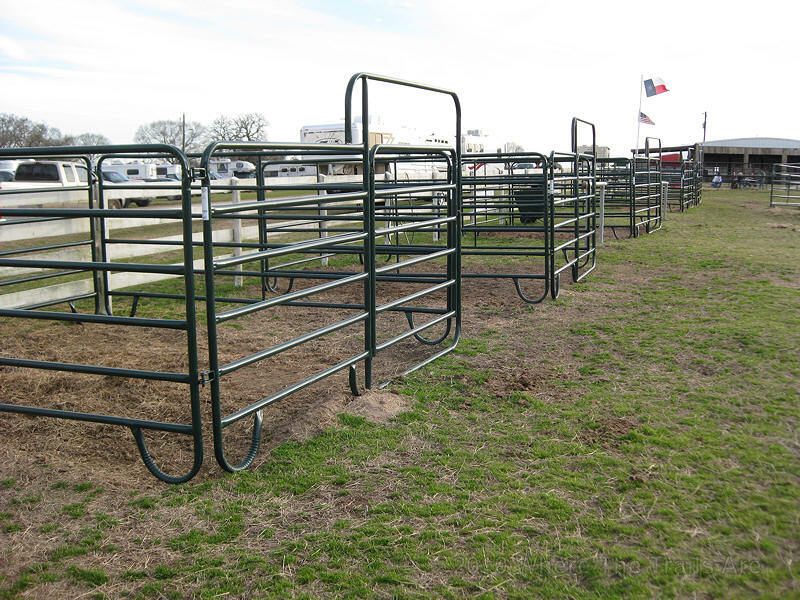 This is a working cattle ranch and the gates are to be left as they were found. Fortunately most of the gates are easy to maneuver via horseback and by the time we were done riding for the day Angel and I had mastered the gates! 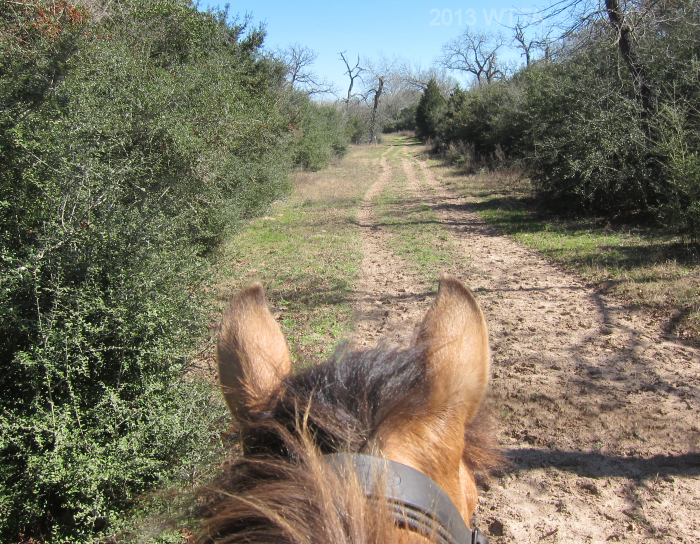 The terrain is all sandy with some pretty deep sand in spots, so your horse will be getting a workout. If your horse is not used to deep sand please keep that in mind and slowly acclimate your mount to prevent injury. There are no steep grades as it is mostly flat with gently rolling hills with ponds and several creek crossings. Many of the trails are in the open, but some also zig-zag through forest, gullies, and creeks. Despite the current drought, green grass and foliage was sprouting up and bright red Possum-Haw Holly berries decorated the trails. On my second day a group of riders, Beth, Paula, and Stacy joined me for a half day trail ride, so new friends were made! I was most smitten with Stacy’s cute one-eyed medicine cap Paint, Chance, who was raring to go. We headed back to camp at just the right time before a much needed rain shower came pouring down.